vacation location, North Lake Cabin. The vacation of a lifetime is at your fingertips. Nestled in the foothills of Canaan Valley, West Virginia, a short drive from major cities in the Mid-Atlantic. 3,000 sq. ft. hand-hewned log cabin with all the modern conveniences of your own home. Free Wifi. Whether you enjoy winter activities or summer fun, you’ll be able to enjoy outdoor adventure 365. 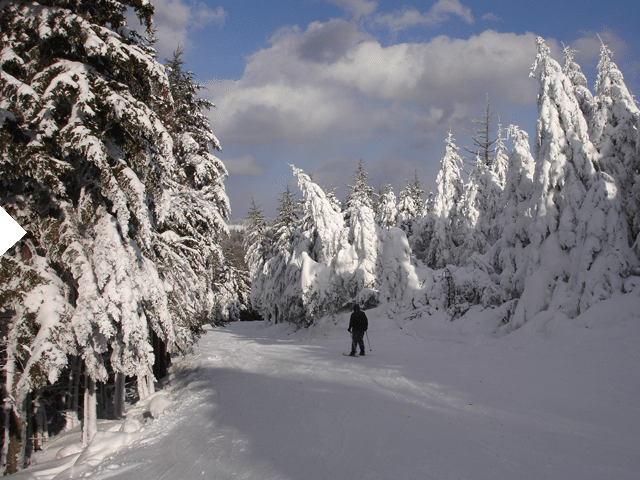 The Canaan Valley area is famous for skiing, hiking, golfing, fishing, site seeing, you name, we have it. Enjoy a soak in the hot tub, cookout on the grill, or just set back and rock awhile on the wrap-around deck. There’s something for every vacationer’s needs. The entire family will enjoy everything North Lake Cabin has to offer. 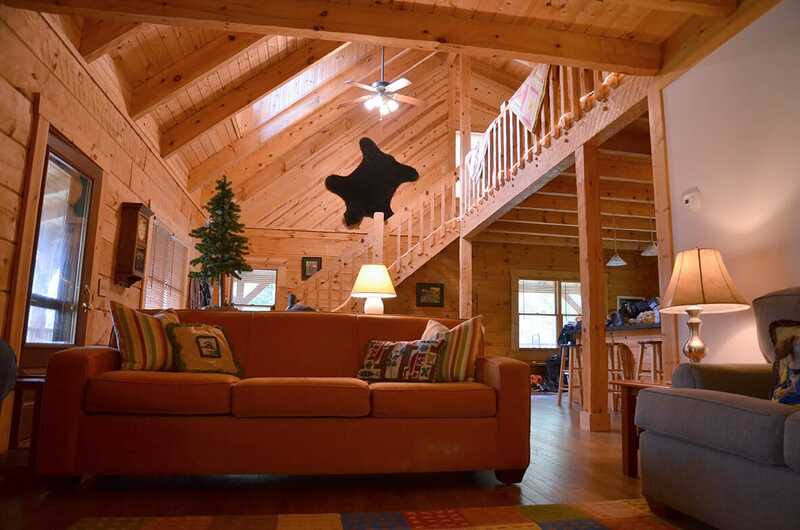 Enjoy a year-round break in this beautiful Canaan Valley hand-hewn log home. North Lake Cabin is situated in North Lake Resort and offers loads of amenities that include a hot tub and a beautiful fireplace. 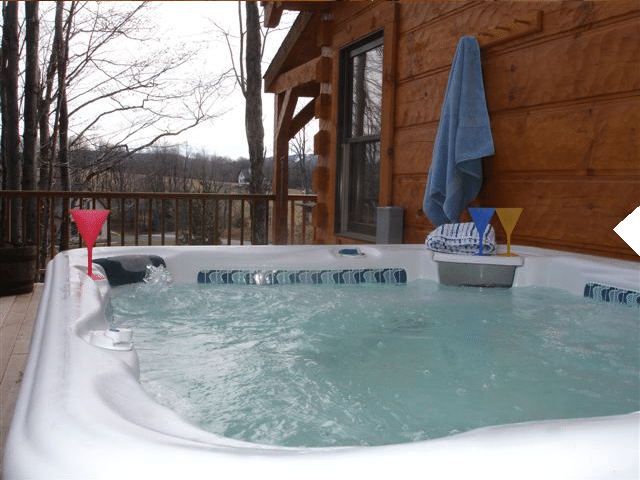 FREE WIFI – HOT TUB – Fantastic Catch and Release Fishing with no license required. Bring your own non-motorized watercraft. It’s all within a short drive. Black Water Falls State Park, Dolly Sods, Seneca Rocks, horseback riding, hiking, fantastic mountain bike trails, cross-country and downhill skiing. Open floor plan sleeps 8 to 10 guests. Modern, fully stocked kitchen, full family playroom, central air conditioning, free wifi, hot tub, fireplace, cable TV. My wife’s family has been vacationing in Canaan Valley for over 35 years. Since we’re not much on skiing, we always visit in the summer. If you’ve never spent August in Canaan Valley, you don’t know what you’re missing (low temps and no humidity). We’ve been staying at the cabin for years. Because is sleeps so many, we make it a semi-family reunion each year. Fishing, hiking, site seeing, so much to do and like I mentioned, a great break from the summer heat. Luxury in the heart of the wilderness of WV. We’ve been visiting Canaan Valley for years. In 2014 we stayed at North Lake Cabin for the first time. It’s a joy to have so many activities available to us right at where we’re staying. From fishing and hiking the trail around the lake to the short drive into Davis for dinner, we love staying and have been back every year since.